The Fresh Sheet - reviews of recent and current Washington wine releases - for today includes wines from Betz Family Winery, Guardian Cellars, Gorman Winery, SYZYGY, Spring Valley Vineyard, Col Solare, and Cadaretta. Betz Family Winery’s Fall Releases live up to the expectations that accompany such a highly regarded winery. The 2008 Besoleil is as fine a Grenache blend as the winery has made. The 2008 La Cote Patriarche - which marks the twentieth vintage from these Red Willow vines - shows the depth and complexity that can only come from such age. 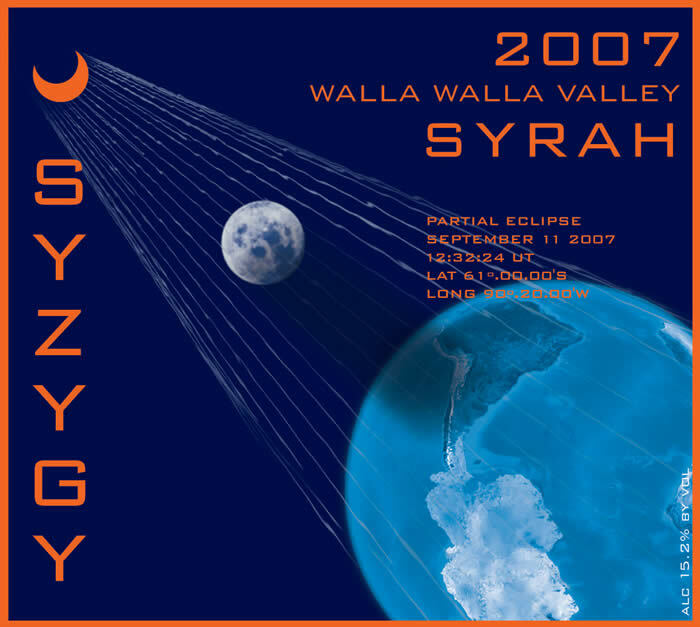 Of the 2008 fall releases, winemaker Bob Betz says that the differences in site were particularly magnified in the 2008 wines. 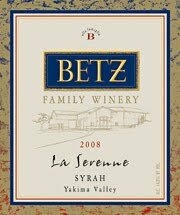 He describes the 2008 La Serenne – another stellar release of this wine – as “more brooding than it’s been in years.” This is the tenth year that Betz has been using these same rows at Boushey Vineyards. A visit to Gorman Winery – now only open twice a year for release events – tells you everything you need to know about what will be in the bottle. Guitars hang from the wall alongside pictures of rock n’ rollers. The musical selection on my recent visit? Metallica’s ‘For Whom the Bell Tolls;’ Deep Purple’s ‘Highway Star;’ and Motorhead’s ‘Ace of Spades.’ Yes, it’s hard to maintain one’s objectivity about the wines with such songs playing in the background. The musical analogies are apropo as Gorman’s wines are like listening to a stereo with each of the knobs turned far to the right. The fruit is big; the oak big, the tannins big. These are each gigantic wines in Gorman’s bold, distinctive style. Rating: * (Excellent) Very pretty aromatics of currant, red fruit, and cashews. On the palate, a big wine with a whole lot of grip and chewy, tart fruit. A pretty big hammer for the money. Alcohol shows through a bit at times. Give six to twelve months. 58% Cabernet Sauvignon, 38% Syrah, 4% Petit Verdot. 15% alcohol. Aged 20 months in French oak. 700 cases produced. Rating: * (Excellent) Leaps from the glass with high-toned cherries, red licorice, and earth. Big and grippy on the palate with chewy red fruit flavors. A dry, tart wine. 85% Cabernet Sauvignon, 15% Merlot, 5% Petit Verdot. Aged 20 months in new French oak. 15% alcohol. 450 cases produced. Rating: * (Excellent) Abundant red fruit, licorice, and earth accented by oak. A big, rich, chewy, opulent wine with a big lick of tannins. 100% Syrah. Aged 20 months in French oak (90% new). 225 cases produced. Rating: ** (Exceptional) A perfumed nose marked by licorice, spice, oak notes, and black cherry. On the palate, a gigantic, colossal wine with an iron fist grip of fruit and tannins and an extended finish. Alcohol shows through at times. Give two years. 65% Syrah, 35% Cabernet Sauvignon. 300 cases produced. Rating: ** (Exceptional) A perfumed nose with blackberry, balsamic, pencil lead, and licorice. Again, a monstrous, big beast of a wine that is an exclamation point on the palate. Hugely tannic and drinking very young right now. Give two to three years. 66% Cabernet Sauvignon; 34% Petit Verdot. Kiona Vineyard. Aged 20 months in new French oak. 120 cases produced. Rating: * (Excellent) Dried pineapple and honey on an aromatic, alluring nose. A rich palate loaded with sugar but perfectly balanced by acidity. A perfect end to any evening. Barrel fermented in new French oak. 12.5% alcohol. 170 grams Residual Sugar. 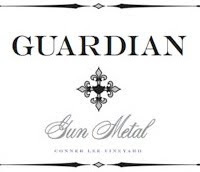 The latest Guardian Cellars releases maintain the winery’s signature of over delivering for their price point. The 2008 Chalk Line in particular is about as high quality a wine as you will find in Washington for $25. Rating: * (Excellent) Initially closed up on a nose that shows dusty chocolate aromas, blackberries, blueberries, and spice. On the taste, a big, rich bold wine that grabs you and shakes you with intense black fruit flavors. Finishes a bit hot. 31% Cabernet, 27% Syrah, 21% Merlot, and 21% Cabernet Franc. Aged 17 months in new French oak. 525 cases produced. Sample provided by winery. Rating: * (Excellent) Blackberry, spice, dark chocolate covered cherries, and licorice mark an aromatic wine. On the taste, ramps up, dips down, then comes back on the mid-palate like a freight train. A big lick of tacky tannins ties it all together. 50% Cabernet Sauvignon, 33% Merlot, 17% Cabernet Franc. Conner Lee Vineyard. Aged 22 months in 100% new French oak. 14.9% alcohol. 300 cases produced. Sample provided by winery. What’s this? An outrageously high quality Washington Syrah under $35? Indeed, Winemaker Zach Brettler has produced a wine of outstanding quality from the 2007 vintage at a price point below most of its peers. Rating: +/* (Good/Excellent) Pleasing smoky Syrah notes combine with red fruit, a touch of mint, and spice. Big and rich with fruit on the palate. Comes off as a bit tangy at times. 50% Syrah, 26% Cabernet Sauvignon, 13% Merlot, 11% Malbec. Wallula, Conner Lee, Minnick Hills, and Stone Valley vineyards. Aged 23 months in French oak. 948 cases produced. Rating: ** (Exceptional) Roasted meats, violets, and purple fruit mark a compelling nose. Rich and full of fruit on a palate that boasts an extended finish. 100% Syrah. Seven Hills, Les Collines, and Morrison Lane vineyards. Aged 18 months in French oak. 435 cases produced. Rating: * (Excellent) Blueberries, tobacco, and mint on a very distinctive nose. Tart and rich with fruit on a wine with mouthwatering acidity. 100% Cabernet Sauvignon. Conner Lee, Sagemoor, Klipsun, and Wallula vineyards. Aged 21 months in French oak. 455 cases produced. Rating: +/* (Good/Excellent) Pepper, plums, and green notes mark the nose. A bit lean on the palate in terms of fruit but still nicely done. 50% Malbec, 25% Tempranillo, 25% Cabernet Sauvignon. Conner Lee, Stone Valley, and Sagemoor vineyards. Aged 21 months in French oak. 188 cases produced. Spring Valley Vineyard wines are always distinctive in style with a unique herbal quality that comes from this vineyard. The wines always push the envelope in terms of alcohol level but generally pull it off. I recommend serving at 62 degrees. Rating: * (Excellent) A very lightly aromatic nose with lots of dust, baker’s chocolate, very light cherries, rose hips, and a distinct herbal streak. Big and opulent on the palate with abundant dry cherry fruit wrapped with a firm layer of tannins. Tart on the finish. Give one year. 60% Merlot, 28% Cabernet Franc, 6% Petit Verdot, 6% Malbec. 14.8% alcohol. Sample provided by winery. Rating: * (Excellent) Abundant dark chocolate and earth on the nose along with jammy fruit and high-toned cherries. Loaded with rich cherry and light herbal flavors backed by firm tannins. A big, intense wine. Hangs around on the finish. Alcohol shows through at times. 54% Cabernet Sauvignon, 25% Cabernet Franc, 20% Merlot, 1% Petit Verdot. 15.2% alcohol. Sample provided by winery. Rating: + (Good) A light mint aroma on the nose along with pepper, dried herbs, milk chocolate, and dried cherries. Palate is thick and syrupy. Alcohol gets a bit intrusive at times. 100% Syrah. 15.5% alcohol. Sample provided by winery. Rating: ** (Exceptional) A thrilling nose with aromas of spice, vanilla, black cherry and licorice. Big and power packed on the palate with tightly wound fruit, beautifully integrated tannins, and silky oak flavors. A wine with a long life ahead of it. Best I have had from this winery. 75% Cabernet Sauvignon, 20% Merlot, and 5% Cabernet Franc. Klipsun, Cold Creek, Andrews Horse Heaven, Weinbau, Hedges, Four Feathers, Stone Tree, and Coyote Canyon vineyards. Aged in 85% French and 15% American new oak barrels. 14.5% alcohol. Erratum: Please note that the published note for the 2007 Col Solare Red Wine was originally listed as having a rating of Excellent (*) instead of Exceptional (**) - the actual rating I gave this wine when I sampled it. I discovered this error when reviewing my tasting note database. Both this post and the database were subsequently updated after rechecking my original notes. My sincere apologies to the winery and to my readers for this error. The Cadaretta Highclimber is a 100% Sangiovese hiding under the label of a Red Wine. The name Highclimber is a tribute to the timber heritage of the Anderson and Middleton families who own the winery. Rating: + (Good) A very appealing, varietally correct nose with cranberry, earth, and a touch of dusty chocolate. Good fruit expression and abundant cranberry flavors but comes up a bit short on the finish. 100% Sangiovese. Desert Hills Vineyard, Yakima Valley. Aged for 18 months in 100% French oak (50% new). 14.1% alcohol. 50 cases produced. Sample provided by winery.